Anthony Martial has told his agent to agree to the terms offered by Manchester United. The Mancunian giants have been locked in negotiations over a new deal for Anthony Martial for quite a while now, due to the player’s reluctance to extend his stay at the club. The Frenchman was hesitant to commit his long-term future with the Old Trafford outfit, as he shared a poor relationship with former boss Jose Mourinho, who was even prepared to sell the youngster in the previous summer window. However, things at Manchester United have drastically changed since the Portuguese tactician’s departure, also affecting Martial’s decision in the process. Now, the 23-year-old is open to extending his stay at the Theatre of Dreams, and has even urged his agent, Philippe Lamboley, to agree to the terms offered by the club, reports the Mirror. 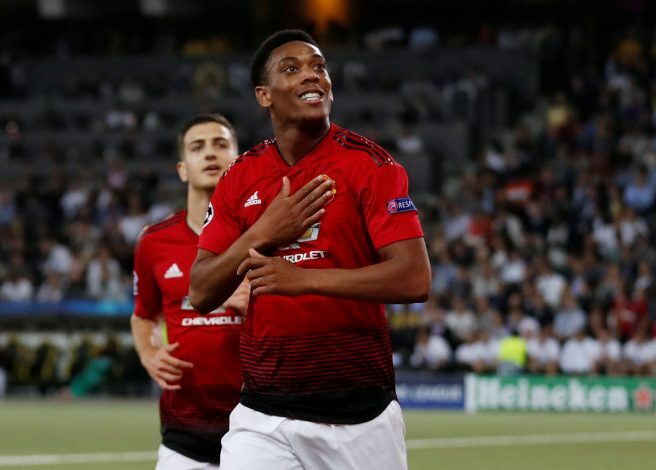 Further, Martial has also publicly declared that he is enjoying life under interim boss Ole Gunnar Solskjaer, having started 5 of the 7 games the Norwegian has managed so far. At the start of the week, French outlet RMC Sport claimed that the negotiations between Martial and Manchester United were in the final stages, with only minor details left to be sorted out. Another source from France, Telefoot, further suggested that an official announcement could be made next week. But if this development from Mirror is any indication, fans could receive some good news much sooner than initially expected.